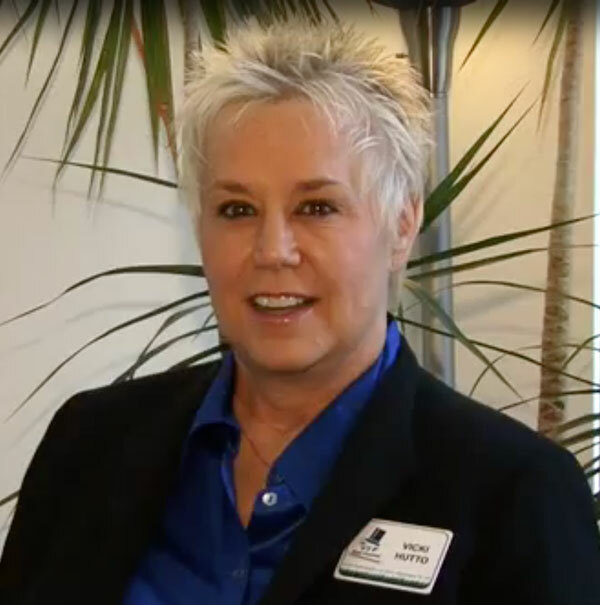 Vicki J Hutto is CEO/President and co-owner of VIP Pest Control for the Tampa Bay Area. Ms. Hutto has 18 years of commercial and residential experience in the pest control industry. She applies her expert knowledge willingly and openly to her clients, consumers and community. Ms. Hutto has augmented her pest control career with courses and studies in the field of entomology from Purdue University and Texas A & M University. As a salesperson with Orkin Pest Control, she produced in the top 3% nationwide for three years in a row. Prior to her work experience in the pest control industry. Ms. Hutto worked for 13 years in management and marketing as the Director of Admissions and Marketing of the vocational schools now known as ITT Technical Institute, National Education Center, Texas College of Medical and Dental Assistants respectfully. Ms. Hutto is also a motivational speaker and desires to inspire business owners to continue to reach for their dreams. Ms. Hutto is very active in several local community organizations and believes in “paying it forward”. As a customer, you will always have someone to talk to regarding your situation and concerns. We will take your information and provide you with the appropriate person who will handle your problem directly and with expertise. We will set an appointment and/or a specific treatment with you and keep it. Our customers’ time and investment (home) is as valuable to us as it is to them. Special needs and requests are no problem for our expert technicians. Our expert employees are trained to listen carefully to our customers, take notes and ask questions in an appropriate manner. Our customers are our best resource to help identify the pest or termite problem. Our employees take into consideration the concerns of our customers and always provide the appropriate feedback and treatment when suitable. We have the integrity to stand behind it’s motto of “Your satisfaction is very important to us”. Your concerns will be given full attention; as we strive to always better the service it provides. As a customer, we will always value your feedback and how we provide expert service to you! We know that providing good customer service goes beyond doing a good job. It means assisting customers with the simple things, such as moving a plant back into place after a treatment; or providing tips on keeping a pest problem from reoccurring. It is not always about making a profit, but providing a customer with exceptional and expert service. We provide extensive training for it’s employees. Each employee is required to take pest control, termite, and lawn & ornamental classes each year to maintain their certifications. Our technicians are trained to provide customers with pointers on keeping the treatment in “effect” longer and lessening conducive conditions. Our employees always provide a clean, safe, and effective treatment to your home or business location. We offer discounts and coupons to customers to show our appreciation for their loyalty and return business. We encourage our customers to refer others by paying them for their referrals.